Danny Boyle gave us a peek into Mumbai’s slums with the movie called Slumdog Millionaire, but to get a real experience of what life in a slum is, one can definitely go for this tour. The whole purpose of this tour is to show how contrasting the lifestyles of people are in Mumbai. This city has place for everyone, right from people living in high rises to slum dwellers who are equally happy to live in shanties and mingle with their neighbors. Mumbai is known as the city of dreams providing job opportunities for everyone willing to settle here. 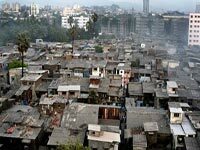 Contrary to belief that Mumbai’s slum dwellers are poor people, the story is a lot more different. Most of these people have well secured jobs and their houses have all amenities as well. The major slums have tanneries from where quality goods such as leather goods find their way in major shops all over the world. You can also find small scale industries making clay pots, embroidery items, garments, recycling, bakery products and papad (poppadum) which find their way to the local market. During the Ganesh festival in September, temporary workshops come up that make colourful Ganesh idols from clay and plaster of Paris. Dharavi Slum also becomes lively at night during the Holi festival where local groups perform a dance and DJ music is played at each and every corner. In the open ground, people worship the bonfire and ladies take rounds around the bonfire with earthen pots on their heads. Total tour duration inside the slum is 2 hours. 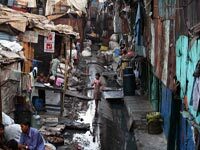 The tourists have to walk through the lanes of the slum. Recommended time is any time between 9.30 am and 3 pm.